Making a career in IT is the best option nowadays. It is more of a trend than a career choice. We cannot blame it though, as the world is in need of these IT professionals. While achieving a good position out of this particular career, one must have, one or the other time wondered that how to utilize this profession, in order to achieve the desired position. The fact is not hidden. The Cisco Certified Network Associate also known as the CCNA is the most favourite certificate chosen by the IT professionals whose interests are related to the network related areas. This particular certificate helps one to prove their skills in installing, configuring, troubleshooting route. This particular certificate is one of the very best and is being accepted by IT departments throughout the world. It is a practice framework which is used to Manage IT Service. This particular certificate also known as the Microsoft Certified IT Professional certifications is Microsoft’s new baby to the list of their specialized certifications. This helps the professionals to utilize their skills in various ways which in turn helps the IT industries. The VMware Certified Professional Virtualization has managed to gain a lot of attention. This Program is very much designed for only a particular set of people who are very much capable in handling virtual infrastructure. The Microsoft Certified Professional Developer is a certificate suited for those, who want to create and also successfully support the software solutions which are very much needed in IT. This particular credential makes sure of particular skills that one needs to utilize successfully with the help of Microsoft Visual Studio and the Microsoft.NET frame work. This certificate is specially designed so that an IT professional’s knowledge and existing IT credentials get a chance of improving. This one is the CompTIA’s newest certification programs. This certificate helps in training on calculating ROI for green IT initiatives. This particular certification will always successfully remain an important part of IT. It is international by nature. It is also a vendor-neutral certification, which manages to prove that there is still competency in system security, organizational security, access control and network infrastructure. The Cisco Career Certification program offers a varied range of certifications from various levels starting from the entry-level and ending in the master level. This particular certificate though holds the highest accreditation achievable. It is made for the very experienced Cisco network professionals. Most of the IT industry deals with project related work so the project management certification helps you. This helps in professional management of the projects. You can visit Skillogic Knowledge Solutions for PMP training in Bengaluru, Chennai and Hyderabad. 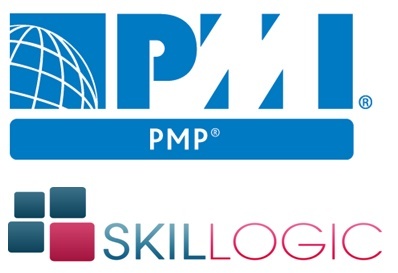 Mumbai, Pune and Delhi are other Skillogic PMP training centres in India. The Microsoft Certified Technology Specialist offers various certificates. This helps in handling extremely challenged situations too. All the above mentioned certificates will definitely help you achieve the best out of your IT career.